Please join us for our warm and welcoming Open Write Nights, now at an easier-to-remember regular recurring monthly spot of Second Saturdays! 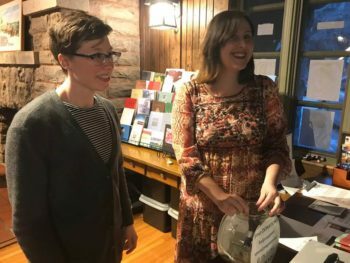 Your hosts Melissa Ragsly and Natalie Mesnard will facilitate an evening of generative writing and community building at the Hudson Valley Writers Center. Prompts will be offered, refreshments served (that includes wine). Stories swapped. $10 for non-members; free for members (will be deducted at checkout when you log in).